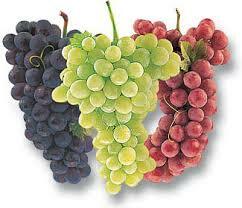 Grapes are easily propagated from cutting. Take cuttings when fully dormant with three nodes and plant them vertically in a very sandy potting mix. When taking cuttings, mark the top of the cutting with a point and the bottom with a flat cut so there is no confusion when planting. An article in "The Victorian Historical Magazine", Feb 1940, gives an insight into the diversity of grapes that were once about. The article is about pioneers of horticulture in Victoria and it says the following about the operations of John Pascoe Fawkner's nursery- "In the "Geelong Advertiser" of June 28th, 1848, he advertises for sale at "the Orchard Pascoevale," "the most extensive and choice collection of Fruit Trees, Vines, and Ornamental Trees and Shrubs, ever to be offered to the public, as the produce of or acclimatized in this Colony." He lists 35 apple varieties, 20 pears, 20 plums, 10 cherries, over 200 varieties of grape vines"
2. Goodman’s Catalogue of 1914 [Goodman's 1914] The catalogue used American spelling for words such as color (colour) and flavor (flavour) and this has been retained. 3. List of fruiting plants (including 149 grape varieties) growing at the Royal Horticultural Gardens, Richmond Park, Burnley, in 1896. Thanks to the State Library of Victoria for allowing us to use information from the list. The following are listed as American varieties on the list of fruiting plants growing at the Royal Horticultural Gardens, Richmond Park, Burnley, in 1896.